According to a story in the Washington Post by Pamela Constable, the African-born population has doubled every decade in the greater Washington metro area for the past 40 years. Those numbers parallel the overall U.S. growth of African immigrants; in 1970, there were roughly 80,000 African-born immigrants in the U.S. Today, there are nearly 1.6 million. Other African immigration trends have continued apace; for example, four countries (Nigeria, Ghana, Ethiopia and Egypt) are responsible for nearly half of all African immigration. Some immigrants from these countries end up in the Washington D.C. region, while others connect with family members in different parts of the country. Immigrants from Africa end up in sparsely populated states like the Dakotas, which are normally associated with whites and Native Americans. What accounts for this robust, relentless immigration from the African continent? A major reason is education. 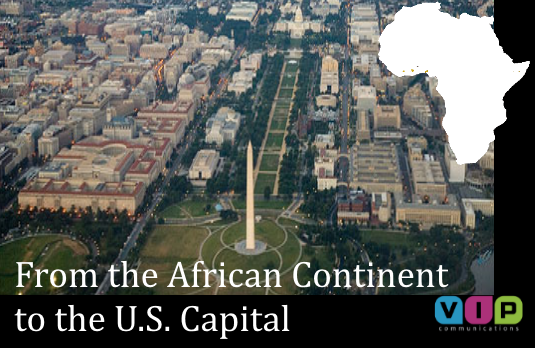 With world-renowned learning centers – particularly in the D.C. metro area, with institutions like Georgetown University, Johns Hopkins University, Howard University and others – the United States tends to attract high-achieving students and doctoral candidates from Africa. Political unrest in Africa is another factor for the steady stream of immigration. Many African countries (Somalia, Nigeria, Sierra Leone, Egypt, etc.) are plagued by military conflict and a growing presence of terrorist organizations. With relative stability and favorable safety and security, the United States makes a sensible choice for Africans looking for a better way of life. Right outside of the D.C. region, Maryland ranks as the state with the 4th-highest concentration of African-born immigrants. In fact, Maryland is one of 4 states (New York, California and Texas are the others) to have more than 100,000 African immigrants. Virginia is also a preferred destination for immigrants from Africa. But if Washington D.C. were considered a state, its African-born population would rate favorably with New York, California, Texas and Maryland. After New York City, the U.S. capital is the most popular destination for African immigrants. According to a recent study, over 160,000 African immigrants call D.C. home. That number is comprised mostly of Ethiopians (35,200), Nigerians (19,600) and Ghanaians (18,400). Interestingly, the rise of African-born immigrants to Washington D.C. has correlated with a steadily decreasing African-American population. In fact, less than half of city residents claim African-American ancestry – the first time in approximately 50 years. With ever-growing numbers of African immigrants in the D.C. region and beyond, connecting with friends and family on the home continent is more imperative than ever. That’s where we can help. Our long-distance calling plans to Africa and around the world set the standard for clarity, reliability and affordability. Try now for free here!